Saving for retirement can be an incredibly difficult task, especially when your path is filled with hurdles such as job loss, rising inflation and debt. One obstacle you may not think about is your own family. Juggling family commitments makes it hard for many adults to save for their own financial future and forces many to continue working long past their planned retirement age. And as more young people graduate with student debt and struggle to afford rising home prices, and the older generation lives longer, the problem is likely to intensify. So let’s take a look at 5 reasons why your family is one of the biggest risks to your retirement security – and how you can continue to honor your commitments without jeopardizing your own financial future. Parents don’t like to think of their children as an expense, but kids are expensive, especially if you intend to cover their college education. According to College Board’s Annual Survey of Colleges, the annual cost of tuition, fees, room and board at a public, four-year, out-of-state college or university averages $36,420 for the 2017/2018 school year. Many parents prioritize their child’s education over saving for retirement. T. Rowe Price’s 2017 Parents Kids & Money survey revealed that more parents have money saved for their kids’ college education than their own retirement (53% versus 49%) and 19% of parents owe $20,000 or more on student loans for their kids’ education. What to Do? While the motivation to help your child graduate from college debt-free comes from a positive place, remember that college savings for your child should not be your top financial priority. Saving for retirement should come first. The fact is, there are options for paying for college that just aren’t available for retirement, like taking out low-interest loans, earning scholarships, attending community college before transferring to a university, and work-study programs. Plus, neglecting your own retirement saving can hurt your children financially in the long run. What happens when you need to leave the workforce early due to illness or injury and don’t have enough savings to fund your retirement? You could wind up needing financial support from your children just as they’re becoming financially independent. The high cost of higher education isn’t the only threat to your retirement that comes from your children’s direction. In August of 2017, NerdWallet asked more than 2,000 parents about their spending and saving habits. They found that 80% of parents of adult children are covering, or have covered, at least a portion of their adult children’s expenses after the child turned 18. That includes not just tuition and student loan payments, but groceries, health insurance, rent or housing, cell phone bills, car insurance, and even entertainment expenses. Of course, helping launch your kids into adulthood is part of being a parent, but if you’re not careful – or the launch takes a few years longer than planned – it can have significant consequences later on. To illustrate, say you’re paying $60 per month for Junior’s cell phone for five years after he leaves home, after which you have 22 years left until your retirement. According to NerdWallet’s calculator, that modest $60 per month will end up costing you $14,625.70 in retirement savings, assuming a 6% annual return on investments and annual compounding. But of course, many parents are paying much, much more than $60 per month. Pew Research reports that as of 2016, 15% of 25- to 35-year old Millennials were living in their parents’ home. Some of those adult children simply never moved out from Hotel Mom & Dad, others are “boomerang” kids who moved back in with their parents after going out on their own at least once. Among those who had moved back in, the median estimated length of time spent living with parents was three years. What to Do? If you’re having a hard time retiring financial support of your adult children, it’s time to have some honest conversation about financial independence – both theirs and yours. Consider writing out a contract that states the length of time you’re willing to support an adult child while they look for a job and save up some money to go out on their own. And let your child know why you must limit your financial support. It may seem obvious to you that your financial resources are finite, but it may not have occurred to your child. There’s a reason people in their 30s and 40s are referred to as the “Sandwich Generation.” Even while you’re helping your kids through college and into a career, you may be responsible for caregiving or covering the long-term care expenses of your own parents. According to Merrill Lynch’s 2017 report, The Journey of Caregiving, 40 million Americans are currently serving as caregivers to family or friends. When we think about caregivers, providing assistance with daily chores and personal care often come to mind, but 68 percent also contribute directly towards the recipient’s expenses, with an average of $7,000 per year. But the real cost of being a caregiver is not always apparent. Paying for medical and living expenses for an elderly parent are easy to tally, but some caregivers also leave work to fulfill their caregiving responsibilities. MetLife’s 2011 study Caregiving Costs to Working Caregivers estimates that the cost of providing care for a parent, including lost Social Security, pension benefits, and wages is $280,000 for men and $320,000 for women. What to Do? What can you do to reduce the impact of caring for an aging parent on your retirement saving? First, have a discussion with your parents about their long-term plans, including long-term care insurance, purchasing an annuity to provide income, considering a reverse mortgage, or coordinating other benefits. You could even sit down with them and go through a retirement planning exercise with a good retirement calculator. These discussions can be difficult, but it’s much better to be proactive about planning while your parents are still in good health rather than scrambling once care is needed. Does the family business make up the bulk of your retirement plan? That’s actually a pretty common scenario for small business owners today. According to a 2017 report from BMO Wealth Management, 75% of small business owners have $100,000 or less saved for retirement. But there are several hurdles to using a closely-held business as a retirement plan. First, there’s the question of how much the business is worth. Even a business that brings in a healthy income for its owner may not be worth much to a third party if the business’ success relies heavily on the knowledge, experience, or reputation of the owner. Next, if you own a partial stake in a family business, you’re trusting that other family members won’t do anything to jeopardize your plans. In 2017, the New York Times profiled Frances Stroh and the collapse of her family’s brewing empire. In the 1980s, the Stroh family fortune was estimated to be about $9 billion in today’s dollars, but a series of misfortunes, including bad investments and issues with substance abuse, lead to the company being sold off in pieces by 1999. Counting on a family business to fund your retirement is a risky approach. If the business fails, the fact that the fault is not on your shoulders doesn’t change the fact that your wealth goes away with it. What to Do? If you’re scrimping on retirement savings to put earning back into growing your business, consider diversifying your retirement plan. Even small investments into a SEP-IRA or Solo 401(k) can help reduce your tax bill now and grow tax-deferred until you need the money in retirement. Remember, in the long run, you need to prioritize saving for retirement ahead of paying your adult kids’ way in the world, covering a family member’s long-term care, or investing in the family business. It doesn’t make you a bad family member; it just makes you realistic. There are many financial advisors who specialize in the retirement needs specific to small business owners. Elder financial abuse is the unauthorized or improper use of resources of an elder family member or friend, who is 65 years or older, for monetary or personal benefit, profit or gain. It spans a broad spectrum of fraud, including taking money or property, forging an older person’s signature, and getting an older person to sign a deed, will or power of attorney through deception, coercion or undue influence, according to the National Committee for the Prevention of Elder Abuse (NCPEA). It is a BIG problem. A study by Allianz Life Insurance Company of North America found that of the respondents who reported experiencing financial abuse, 52% indicated that the crime was committed by a family member, friend or caregiver compared to 22% who said a stranger was the perpetrator. And, these percentages probably under report the problem since many families do not want to admit that a family member was involved. Resist Pressure: Try not to feel pressured to help friends or family when it is outside your financial means — even if you wish you could be of assistance. Monitor: Monitor all of your accounts carefully and make sure you know what all charges and debits are. Seek assistance: Do not sign any documents you do not fully understand. And, consider talking over such matters with an attorney, financial advisor or another family member. Get arrangements in writing: Sometimes seniors want to offer financial assistance to a loved one in the form of a loan. It is important, however that this be a formal arrangement, not a verbal agreement. You can work with an attorney to get the details of the financial transaction in writing — to protect yourself as well as the family member you are assisting. Restrict access to information: You should be especially careful with all financial paperwork and passwords inside of your home. It is important to really control access to your financial information. Background check: If you have hired someone to help in your home, be sure that they have been properly background checked. 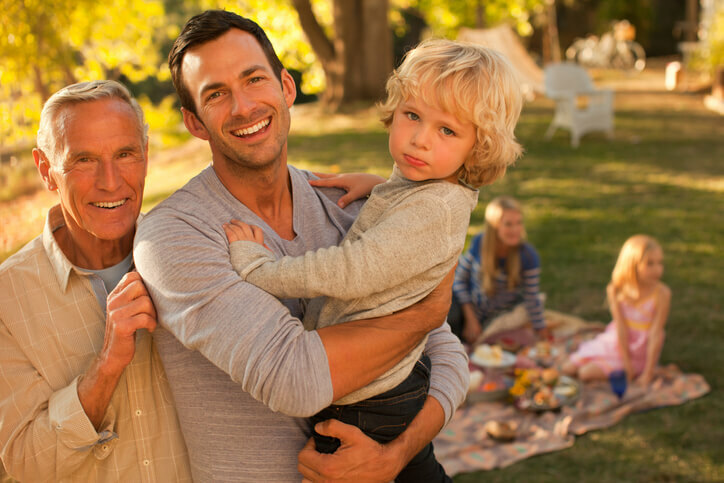 How will family impact your retirement plan?